Waterfall approximately 25 meters high. The waterfall is the product of a vertical drop generated by columnar basalt structures, which cause the La Gloria estuary to empty its waters into the Cautín river. The environment is quite attractive since it has an abundant native vegetation, with the presence of ferns, mosses and varied shrub vegetation. The visibility is good as well as the access, which is approximately 500 m from the main road that links Curacautín with Malalcahuello. This jump also has an important cultural value since it has a mapuche legend associated with it. You start from Puerto Varas, take Highway 5 Sur northbound for 372 km. until you reach the city of Lautaro, located 46 km. north of Temuco, from that point you have to head towards the Cordillera de Los Andes, through a road worthy of postcards that meanders between large meadows, agricultural and colossal volcanoes. Once in Curacautín - Piedmont of Reunion in Mapudungún - you have to take Ruta 181 after traveling 19 km (18 min.) you will reach Manzanar. From Manzanar you have to travel further 3 km (2 min.) 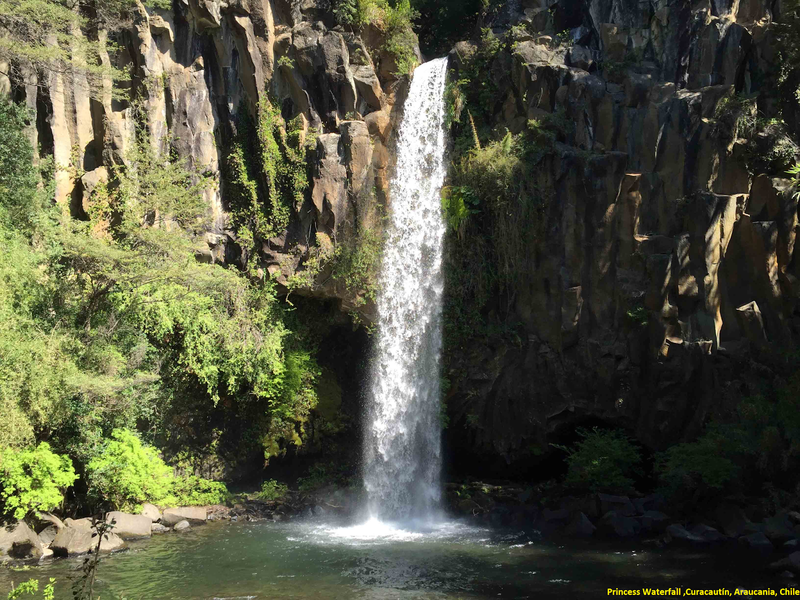 then you have to take Ruta 971 .On Ruta 971 you have to travel 600m and you will be in front of the falls.